The Perio-Implant Advisory team would like to thank our loyal subscribers for a great year. With your help we have grown into a well-regarded publication. This month we have an exclusive article on preventing maxillary sinus complications, plus two of our top performing articles of 2018. We look forward to a wonderful 2019 and wish everyone happy holidays and a bright new year. Dr. Pascal Valentini looks at how to avoid maxillary sinus grafting complications that can influence long-term implant survival. Complications include damage to the alveolar-antral artery, acute sinusitis, and brain abscesses. This article is a preview of Dr. Valentini's discussion on this topic at the 2019 Academy of Osseointegration annual meeting in March 2019. Implants have anatomical differences that may require more care than a traditional toothbrush and dental floss to ensure that the surrounding gum tissue and bone remain healthy. 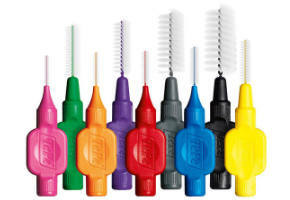 Shavonne R. Healy, RDH, discusses reasons why flossing may not be the ideal choice for implant patients. 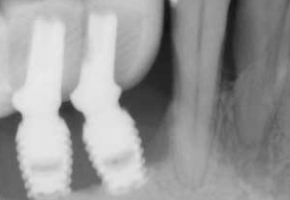 Which is most effective for the treatment of peri-implantitis: Mechanical, chemical, or laser? Treatment of peri-implantitis varies widely. But which treatment is most effective? Ask Stuart J. Froum, DDS. 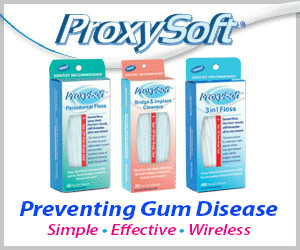 Try ProxySoft on your patients and feel the difference of FlexYarn. Get free samples and special deals at Amazon on these products: periodontal floss, 3 in 1 floss, and bridge and implant cleaners. 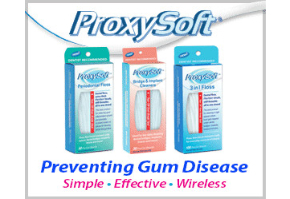 Preventing gum disease with ProxySoft is simple, effective, and wireless. © 2018 Endeavor Business Media, LLC. All Rights Reserved.